ammunition carried 101 56 32 ? 54 ? Ground pressure (kg/sq cm) 0.78 0.83 0.88 0.62? 0.68? ? Number built 285 139 None ? ? ? Ground pressure (kg/sq cm) 0.93 0.91 ? ? Number built 4 66 ? ? Note: Prototypes are not included in the numbers built. Turán I deliveries commenced June 1942 and were completed in late 1943. 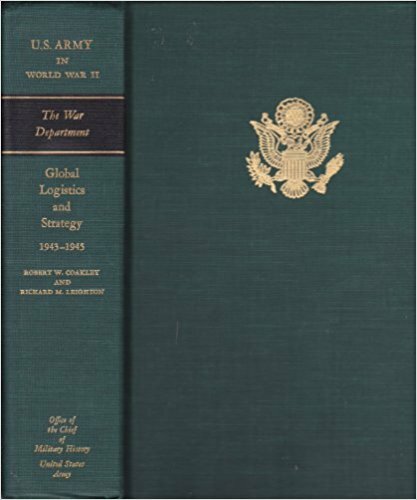 By 30 October 1943 242 had been delivered. Turán II deliveries began 15 May 1943 and were slow to increase. By the end of September, only 49 had been delivered, but a month later numbers had increased to 74. Production ceased after the German occupation in mid-1944. Only one prototype was completed of the Turán III. Niehorster, Dr. Leo. Personal communication. The Germans initially had no desire for Hungarian participation in Barbarossa which suited most of the Hungarian leadership quite well. 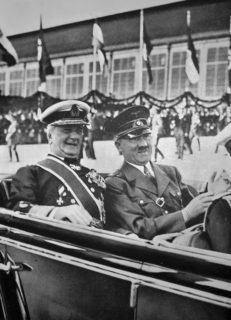 But the Germans, meeting more resistance than they anticipated, said that they would welcome any voluntary contribution made by the Hungarians the day after Barbarossa began. This changed the situation radically and the Hungarians compromised by breaking relations with the USSR. This was hardly satisfactory to the pro-German faction within the Hungarian government and the Honved (military), but they weren’t able to do anything more until the Hungarian city of Kassa (Kosice) was bombed, reputedly by the Soviets, on the 26th of June. A Soviet attack on neutral Hungary makes no sense unless it occurred by accident, but it could well have been a provocation staged by the Germans or Romanians to “encourage” Hungarian participation. One Hungarian fighter pilot reported engaging three German-manufactured He 111H bombers flying southeast after Kassa had been bombed. The He 111 was in both German and Romanian service at the time. Any number of theories have been advanced over the years, but nothing has been settled. The attack enraged Adm. Horthy who decided upon an emphatic response. The pro-German faction got its wish; Hungary would join the attack on the USSR As the Honved was totally unprepared for war, mobilization of selected reservists and the impressment of civilian motor vehicles took several days more than anticipated even though only those forces designated to invade the Soviet Union were mobilized. These were the Carpathian Group which comprised VIII. Corps and the Gyorshadtest (Mobile Corps). VIII. Corps contributed the 1st Mountain and the 8th Border Guard Brigades as well as all of its corps troops. The Gyorshadtest comprised the 1st and 2nd Motorized Infantry Brigades as well as the 1st Cavalry Brigade and, some sources claim, the 15th Bicycle Battalion from 2nd Cavalry Brigade. Other corps contributed bicycle infantry and anti-aircraft battalions as well as two-gun batteries of 150mm artillery. These units were the best available to the Hungarians, even the Border Guards, and were definitely a cut above the rest of the Honved. The 1st Mountain Brigade was organized into four mountain infantry battalions, plus an artillery battalion of two batteries, each with four 75mm pack or mountain guns. A platoon of two 149mm howitzers was attached for the duration of the campaign. Each mountain infantry battalion had three companies of mountain infantry, each with twelve LMGs, two 51mm mortars and a 20mm anti-tank rifle, a machine-gun company of nine HMGs, a battery of four 75mm pack or mountain guns, a platoon of four 81mm mortars, an anti-tank platoon of four guns, an engineer platoon as well as a reconnaissance detachment. Under the direct control of the brigade were a company of 6 motorized 40mm Bofors AA guns, an anti-tank company of four guns, a motorized anti-aircraft company of ten AAMGs, a cavalry company, an engineer company as well as a platoon each of motorcyclists and five Csaba armored cars. 8th Border Guards Brigade controlled far less at the brigade level than its compatriot in VIII. Corps, namely a motorized anti-aircraft company, an engineer company and a platoon of two 149mm howitzers. All units, even the five border guard battalions, were organized identically to the units in 1st Mountain Brigade. The motorized infantry brigades were composed of an motorized infantry regiment, two bicycle infantry battalions, an armored reconnaissance battalion, a motorized artillery battalion, a motorized engineer battalion as well as the standard motorized flak and AAMG companies. The motorized infantry regiment had three battalions, each with three infantry companies, each with twelve LMGs, two 51mm mortars and two anti-tank rifles, a machine-gun company with twelve HMGs and four 81mm mortars, an anti-tank platoon of four guns and an engineer platoon. The bicycle battalions were organized identically to the motorized infantry battalions with the exceptions that all units were motorized except the bicycle companies themselves and the addition of a artillery battery of four 105mm howitzers and a platoon of five Italian CV 33 tankettes. The armored reconnaissance battalion had a company of ten Csaba armored cars, a company of twenty CV 33 tankettes, a light tank company of twenty Toldi Is, a motorized infantry company organized like those in the motorized infantry battalions, except that it had three anti-tank rifles, as well as motorized platoons of engineers, medium mortars, and anti-tank guns. The artillery battalion had four batteries, each with four 105mm howitzers. The engineer battalion had only one company of combat engineers and a bridging column. The cavalry brigade was, quite probably, the most powerful unit of its type in Eastern Europe due to its extensive supporting arms and numerous heavy weapons. It had two hussar regiments, two bicycle infantry battalions, an armored reconnaissance battalion, a motorized artillery battalion, a horse artillery battalion, a motorized engineer company and bridge column as well as the standard motorized light flak and AAMG companies totalling 7350 officers and men. Each regiment had two hussar battalions in addition to a four-gun battery of horse-drawn 75mm mountain guns, a mounted engineer platoon, a motorized platoon of anti-tank guns, and a platoon of tankettes. Each hussar battalion had three companies of cavalry with twelve LMGs and three anti-tank rifles and a mounted machine-gun company of twelve HMGs and four medium mortars. The bicycle, engineer, and armored reconnaissance battalions were organized exactly like those in the motorized infantry brigades. The motorized artillery battalion differed only in that it had but two batteries of 105mm howitzers. The horse artillery battalion had two four-gun batteries of 76.5mm guns. My sources are rather contradictory about the identities of the non-divisional units assigned to the Carpathian Group so the information given below must be regarded as less than reliable. I do know that VIII. Corps contributed its bicycle, heavy artillery and AA battalions while other corps contributed the odd battalion or so. The VIth and VIIIth bicycle battalions were far weaker than their compatriots assigned to the Mobile Corps as they lacked the machine-gun company, artillery battery, tankette platoon, and anti-tank rifles of their more powerful brethren. Their anti-tank platoon only mustered two guns and a machine-gun section of two HMGs was substituted for the machine-gun company. It appears that these units were exchanged with two others sometime after July as my primary source mentions the IInd and VIIth battalions in September and doesn’t mention either of the first two after 7 July, after VIII. Corps had requested their return to Hungary on 3 July as they were considered to be combat ineffective due to breakdowns and tire shortages! Hence my tentative conclusion that they were replaced by the other two. With that in mind I’ve given the Hungarians the ability to replace them for free. Each of the nine corps in the Honved had one of these bicycle battalions for reconnaissance duties, except I. Corps. No higher headquarters existed for them, so I’ve had to group them by their parent armies. The ID used is First Army because it only had two battalions in its subordinate corps. The corps motorized heavy artillery battalions were severely under strength in 1941 with only two 150mm howitzers in each of their two batteries. VIII. Corps provided its complete battalion, but I., III., VI. and VII. Corps only provided a single battery. I’ve amalgamated them into a single weak counter with the ID of the Carpathian Group as this only lasted for the duration of the campaign. In contrast to the other arms the anti-aircraft artillery participated in strength. I., V., and VIII. Corps contributed their complete motorized AA battalions. In addition the 6th, 9th, and 14th motorized light AA batteries were assigned to the Carpathian Group from the infantry brigades of the same number. Each anti-aircraft battalion had one battery of four heavy and another of six light AA guns. Each of the motorized light batteries was organized as above. In addition to the above units, one source mentions the 105th Motorized AA Battalion which had the same structure as the corps-level units. Including the 105th the Hungarians have around three points of flak including the flak organic to the brigades. Rather than give some of these brigades an intrinsic flak strength, I decided to show it as a separate unit with the Karpat ID as it is stronger than the usual army-level amalgamation would be. None of it seems to have advanced with the Mobile Corps after VIII. Corps was halted on the Dneister and this allows me to restrict it as well. The only combat engineers with the Carpathian Group were VIIIth Combat Engineer Battalion and the 151st and 152nd Motorized Combat Engineer Companies. As VIIIth Battalion had two companies, both non-motorized, I decided to round the movement factor down to eight (non-combat/motorized) given the Hungarians’ systemic problems with vehicle maintenance and supplies. Infantry weapons consisted of the 8mm Huzagol 35 M. rifle, a few of the excellent 9mm 39 M. submachine-gun as it was just entering service, the ancestor of the German MG 34, the 30 M., as the LMG, and modernized Austro-Hungarian Schwarzlose 07/12 machine guns in the medium/heavy MG role. Mortars were a mix of German and Hungarian-manufactured 51mm and 81mm models. Anti-tank defense was provided by license-built 20mm Solothurn s18-1100 anti-tank rifles and German 37mm guns. Artillery was a grab bag of modernized Austro-Hungarian Skoda 75mm 15 M. mountain guns, 149mm 14 M. howitzers, modern German 105mm 1eFH 18 howitzers and Swedish 150mm Model 31 howitzers. Sweden also provided all of Hungary¹s AA guns, including the famed 40mm Bofors and the far more obscure 8cm. The horse artillery used the ancient Skoda 05/08 76.5mm gun. AFVs assigned to the Mobile Corps totaled 140 CV 33 tankettes bought from Italy, 49 license-built Csaba armored cars and 80 Toldi I light tanks. Both of the latter were armed with a 20mm gun adapted from the Solothurn anti-tank rifle. The Carpathian Group began its attack on 30 June with attempts to clear the passes through the Carpathians. The defenders demolished many of the roads and bridges in the area which slowed down the advance considerably. The Soviets surprised the Hungarians with their skillful delaying tactics, but the Soviets made no real effort to hold on to the area between the Carpathians and the Dneister. The Hungarians reached the Dneister by 6 July delayed more by supply problems than by the Soviet defense. The units of VIII Corps were relegated to occupation duties after reaching the Dneister, but the Mobile Corps, with the addition of VIIIth Bicycle Battalion, was placed under command of Army Group South and continued on despite immense supply difficulties and numerous breakdowns. It breached the Stalin Line against light resistance during mid-July and continued to advance as Soviet defenses toughened. By month’s end the Corps’ logistics situation had become perilous as it had out-run its supply lines. Its commander requested a week-long pause to recuperate, but this was ignored by the Germans. Forced to continue its advance, it cooperated with 1st Panzer Group to pocket Soviet forces near Uman in early August. Afterwards, it headed south to Nikolaev with the objective of cutting the Soviet 9th Army’s line of retreat in cooperation with the XXXXVIII Panzer Corps. Despite heavy Soviet counter-attacks, the 2nd Motorized Infantry Brigade entered Nikolaev from the west as the 16th Panzer Division entered from the east. The aggressive Soviets did succeed, however, in preventing the majority of 9th Army’s troops from being encircled. The Corps finally got its well-deserved rest after the capture of Nikolaev as it was placed in reserve at Krivoi Rog from 24 August. This only lasted a week or so as the Corps was to defend a 200 km (120 mile) stretch of the Dnepr River from Dnepropetrovsk to Nikopol while the 1st and 2nd Panzer Groups encircled the Soviet Southwestern Front behind Kiev. The most dangerous part of this sector was the island opposite Zaporozhe. The cavalry brigade provided the corps reserve with two hussar battalions, but the rest of its troops were distributed among the motorized infantry brigades. Nowhere were the Hungarians strong enough to do much more than deploy in widely dispersed strong points supplemented with a line of sentry posts. The Soviets were continually raiding across the river, usually in less than battalion strength, and the Hungarians were hard-pressed to defeat these raiders. The Soviets were particularly troublesome around Zaporozhe Island and Nikopol. In fact a multi-battalion attack on 5 September evicted the two battalions defending the island. The first attempt to retake the island by 14th Cycle Battalion failed and the sector commander had to be evacuated to the rear with nervous exhaustion. The next highest-ranking officer present reported himself sick and his replacement reported his troops to exhausted to attack. It was obvious that the Hungarians had been given more than they could handle and either had to be reinforced or made responsible for a smaller sector. 16th Panzer Division took over 1st Motorized Infantry Brigade’s sector which allowed it to move opposite Zaporozhe Island. 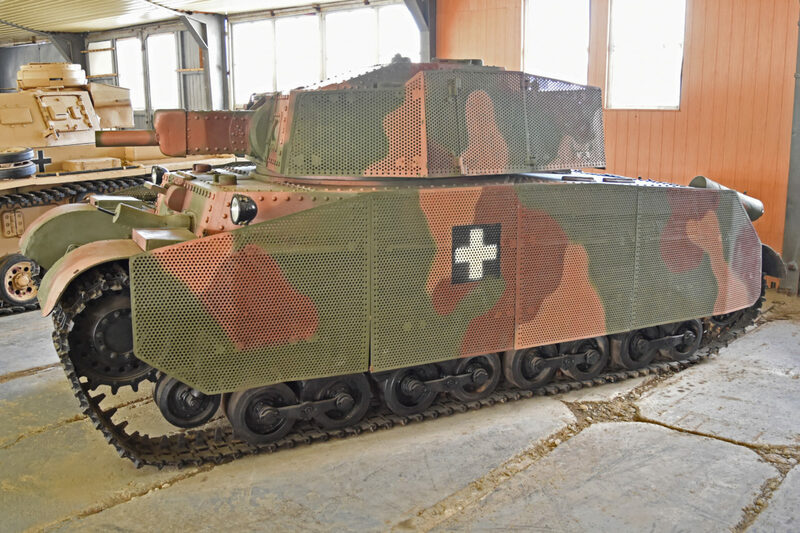 This was only temporary as 16th Panzer was withdrawn on 13 September. This did not bode well for the Hungarians as they were completely shot. 2nd Motorized Brigade’s companies had lost half of their combat strength and more than two-thirds of the Corps’ armored vehicles were out of commission! Fortunately the rapidly developing encirclement around Kiev diverted Soviet attentions, and forces, further north to counter the German pincers. The German 4 Security Regiment arrived on 27 September, which allowed the severely weakened 1st Cavalry Brigade to be withdrawn from the front lines and sent home on 5 October. It was replaced by IInd and VIIth Bicycle Battalions for the drive northeast from Dnepropetrovsk towards Izyum beginning on 11 October. 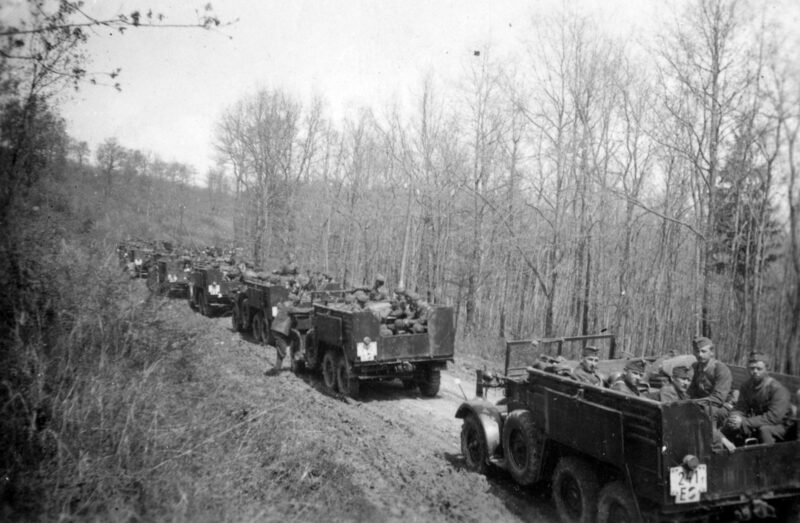 Material shortages and the extensive mud forced the Hungarians to split their force in two parts, one with all the cross-country trucks, well-supplied with heavy weapons, and the other with all the less mobile units. The lead group reached the Donets River opposite Izyum on 28 October, but not before the Soviets had time to evacuate the riverbank and blow the bridges. The Hungarians were in no shape to attempt to cross the river in the teeth of the Soviet entrenchments and they were long overdue to be relieved. The primary delay had been the German requirement for the Hungarians to furnish security troops. They returned to Hungary beginning in the first half of November and were replaced by four security brigades, with a fifth arriving later. These were formed from second and third-line reserves using the headquarters of regular infantry brigades, but without most of the support units that each normally had, although a cavalry company and a motorized light AA battery were assigned. Each was only at between 50 and 70% strength and was armed with very little other than small arms. They had no artillery at all and only a small number of machine-guns. Each of their two regiments had three battalions of infantry. To equalize the burden, the Honved assigned battalions from every corps district in the country rather than just use the normal battalions. Losses suffered by the Hungarians in the campaign weren’t very high, a total of 4524 killed, or just over 10 percent of the 44,444 assigned to the Carpathian Group proper, but equipment losses were severe. 1200 motor vehicles, 28 guns and 30 aircraft were lost, as were all of the tankettes, 80% of the Toldi light tanks and 90% of the Csaba armored cars committed. The Royal Hungarian Army Air Force initially contributed two squadrons each of Italian CR.32bis and CR.42 fighters as well as two squadrons each of Italian Ca.135bis and German Ju 86K-2 bombers as well as four squadrons of reconnaissance aircraft. This was reduced after July to two squadrons of CR.42s, and a squadron each of Ju 86K-2 and Ca.135bis bombers. A flight of Italian Re 2000s was deployed from August for combat evaluation. All aircraft returned to Hungary along with all of the rest of the Hungarians in November. These number are only in aggregate enough for a single Europa counter, and rather than inflict a Mxd aircraft counter on the Axis player, I decided to let him pick which one he would like to use. The second round of updates provided by Carlos Pérez is going online today: An essay on the history of the Spanish Air Force in World War Two, and the resulting suggestion for a Grand Europa OB for the Spanish Air Forces. On a random side note, how do you call a linklist that exclusively links to online versions of books? Its a form we’ve used a lot on this website, and both “linklist” as well as “bibliograpy” seems insufficient. A linklist or bookmarks refers to websites, whereas a bibliography is a list of books. These lists are a mixture of the two, pointing the reader to digitalized verions of paper books available online. Confusing.